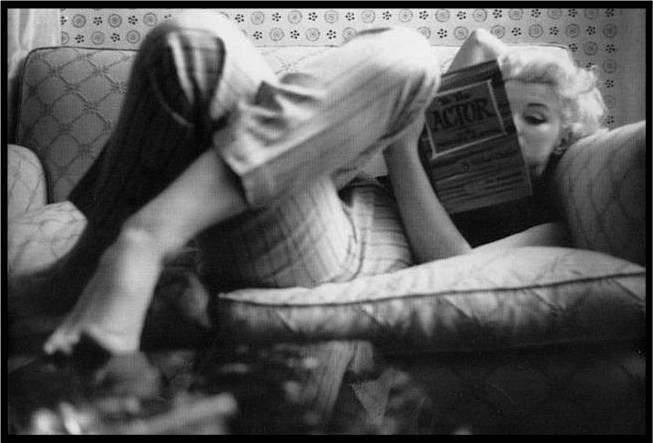 Fragments is a compilation of some of Ms. Monroe’s letters, photographs, journal entries and letters. Published to great fanfare in 2010, it has since received a great deal of attention and generally positive reviews. This collection, while well-presented, fundamentally does not present a great deal of material, which was disappointing (not that a larger group of materials would have made it easier for me to understand her). Fragments also purports to tell her side of the story, and attempts to give her that voice of which, if we are to agree with her biographers, she was robbed. However, the (male) editors’ act of selecting, editing, and curating also has same effect. They are still telling their version of the story, not hers. It seems that unless an autobiography issues from the grave, she will never be able to tell her story. Marilyn the writer is thoughtful, witty, and brutally honest. How many of us can say that we are that honest with ourselves, even in journal-writing? She may have acted and performed for others, but the writing was solely for her. I admire her greatly for that. Fragments: Poems, Intimate Notes, Letters. Edited by Bernard Comment, et al. Farrar, Straus and Giroux, 2010.